It's been years since Casey Maldonado visited her hometown, and the only reason she's returning now is to get her brother Ricky out of jail, where he sits after being arrested for the brutal murder of Alicia McManus, his girlfriend of several months. Casey believes in her brother's innocence, but proving that to the cops is a different thing altogether, especially since she has her own murder warrant to worry about. 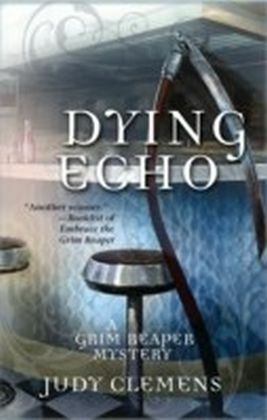 Perhaps even more frightening than the law is Casey's confrontation with her personal demons - the home she shared with her late husband and son, the resentment of her mother, and even the presence of Eric (Embrace the Grim Reaper), who wants to be more than just a friend. As Casey and her ever-present companion Death investigate Alicia's murder, it becomes clear she was not who she claimed to be, from her name to her non-existent past. Instead of a solid history, she left only questions when she died. Where did she come from? What secrets did she know? And, most importantly, who were the three people she spoke of when Death carried her away?Casey must sort the truth from the elaborate fiction of Alicia's life in order to clear Ricky's name, but as she reveals the woman's secrets Casey begins to see just how alike their lives appear. Is Casey destined to an existence as empty and dark as Alicia's, or can she overcome the tragedy of her past and move forward into a life worth living?